Morning People Featuring Seraph may be the upcoming event you’re looking for. Direct from Golden Bay, Morning People present the matriarch of morning mayhem, Mamadafunk. 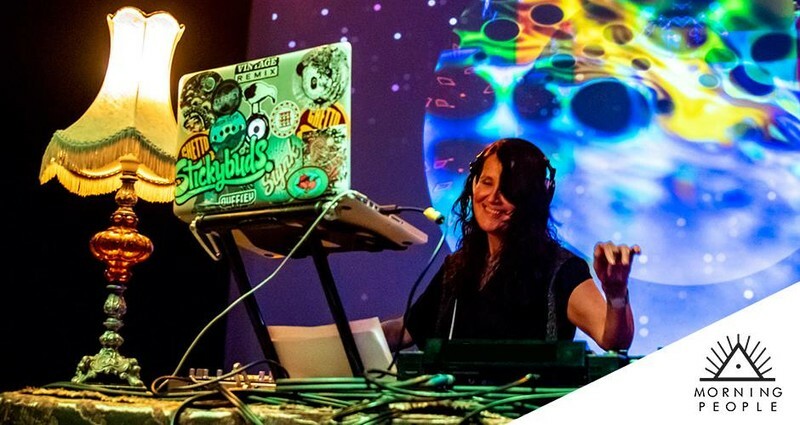 One of the founding members of the all-female DJ collective Divas on Decks, Mamadafunk has been rocking dancefloors at festivals, clubs and parties for many years. Mamadafunk has graced the lineups of some of New Zealand’s most beloved festivals, including Luminate, Splore, Cuba Dupa, Infinite One, Twisted Frequency, Resonance and Relish. Flying in direct from Golden Bay especially for Morning People and for one Wellington show only, don’t miss this opportunity to wake up and shake it with Mamadafunk. Complimentary Altezano Brothers Coffee, ice-cold Almighty juices, free fruit, big bass and ridiculous fun, all for $15. Alcohol and drug free, dress to sweat.